Dr. Kovacs has an international reputation for her contributions to the understanding of depressive disorders in childhood and adolescence. She received a Master's degree in education from Columbia University in 1969. Dr. Kovacs attained her doctorate in psychology from the University of Pennsylvania in 1971 and did a post-doctoral internship in clinical psychology at the Norristown State Hospital. Dr. Kovacs is currently Professor of Psychiatry at the University of Pittsburgh School of Medicine and Western Psychiatric Institute and Clinic, where she has been on the faculty since 1977. She ahs published extensively on the topics of depression and suicide and their treatment. In addition to her ongoing research on risk factors for and consequences of juvenile-onset mood disorders, Dr. Kovacs has been involved with various special committees and grant review sections for the National Institute of Mental Health and is a Fellow of the American Psycholoical Society. 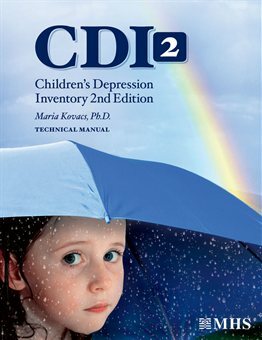 The Children’s Depression Inventory 2 (CDI 2) is a comprehensive multi-rater assessment of depressive symptoms in youth aged 7 to 17 years. Depressive symptomatology is quantified by the CDI 2 based on reports from children/adolescents, teachers and parents. Developed based on the Original CDI, the CDI 2 retains many of the essential features of its predecessor and introduces a number of important refinements. The updated version includes new items that focus on the core aspects of childhood depression, revised scales that are more reliable and valid, as well as new norms that are representative of the U.S. population. Also updated and enhanced are the normative samples of the Parent and Teacher forms. Together, the inventories are a family of tools that accurately assess the presence and the severity of depressive symptoms. The CDI 2 is available in paper-and-pencil, and software formats. All CDI 2 forms can be administered and scored using the MHS QuikScore™ format. The rater writes on the external layers of the form, and the results transfer through to a hidden scoring grid within the internal layers. The assessor then uses the internal layers for tabulating results. 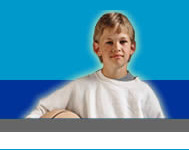 Each QuikScore form includes conversion tables, which are used to convert raw scores to T-scores. The CDI 2 can be scored using the scoring software by entering responses from a completed paper-and-pencil administration into the software program. The full-length CDI 2 Self-Report Form is ideal when assessors require a more robust description of the child's depressive symptoms. The CDI 2:SR is 28-item assessment that yeilds a Total Score, two scale scores (Emotional Problems and Functional Problems), and four subscale scores. The CDI 2:SR(S) Form is an efficient screening measure that contains 12 items and takes about half the time of the full-length version to administer (5–10 minutes).The CDI 2:SR(S) has excellent psychometric properties and yields a Total Score that is generally very comparable to the one produced by the full-length version. The CDI:T and CDI:P Forms consist of items that correspond to the self-report version and are suitably rephrased. Item selection for the parent and teacher forms was guided to maximize validity, and thus focused on observable manifestations of depression.